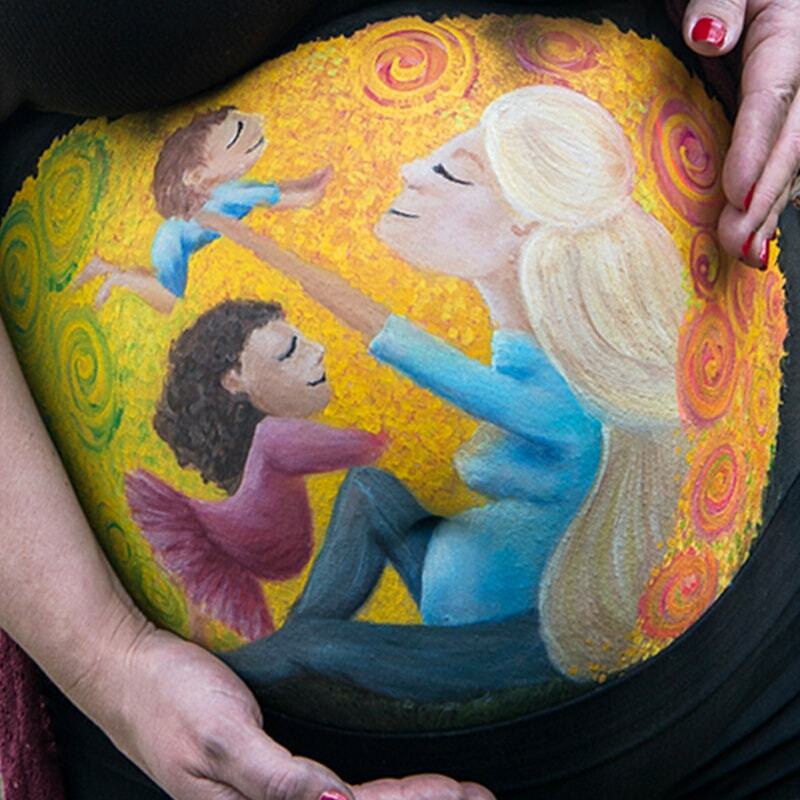 Favoured by celebrities such as designer Camilla Franks, Mariah Carey, and Chris Hemsworth’s wife Elsa Pataky, Belly Bump Painting has become the latest trend in pregnancy mementos and baby shower activities. Belly Bump (Gestational) Painting creates a fun, lasting memento of the precious gift of pregnancy. 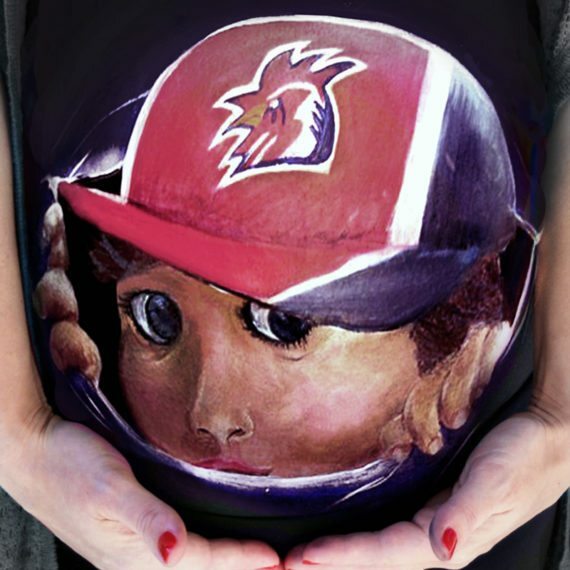 Using 100% safe and approved cosmetic makeup-based body paint, this soft, soothing sensation often brings out a little kick from bubba, and makes for some sensational photo opportunities, that can be hung in the baby’s room or kept as an heirloom. The perfect alternative to a baby shower gift, why not throw in together with a few friends and buy your favourite Mum-to-be the gift that lasts a lifetime. At a convenient time between Week 30 and 36 of her pregnancy, the mum-to-be visits our studio for an appointment, which lasts between 1-3 hours, depending on the design she has chosen. (We can also come to her home location). Prior to the session we will discuss her design, and are able to offer a large range of design suggestions, or we are also able to custom design something unique. 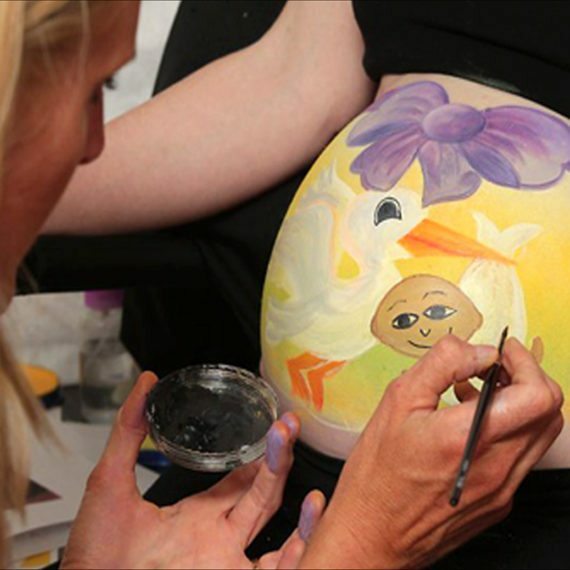 This is a pamper session for the mum-to-be, so comfort is our highest priority. In our studio we have comfortable padded chairs, a massage table, footrests and a big screen TV for you to watch during your session. She can alternate between sitting/standing, as per her needs, and we can stop for toilet breaks as often as you need. 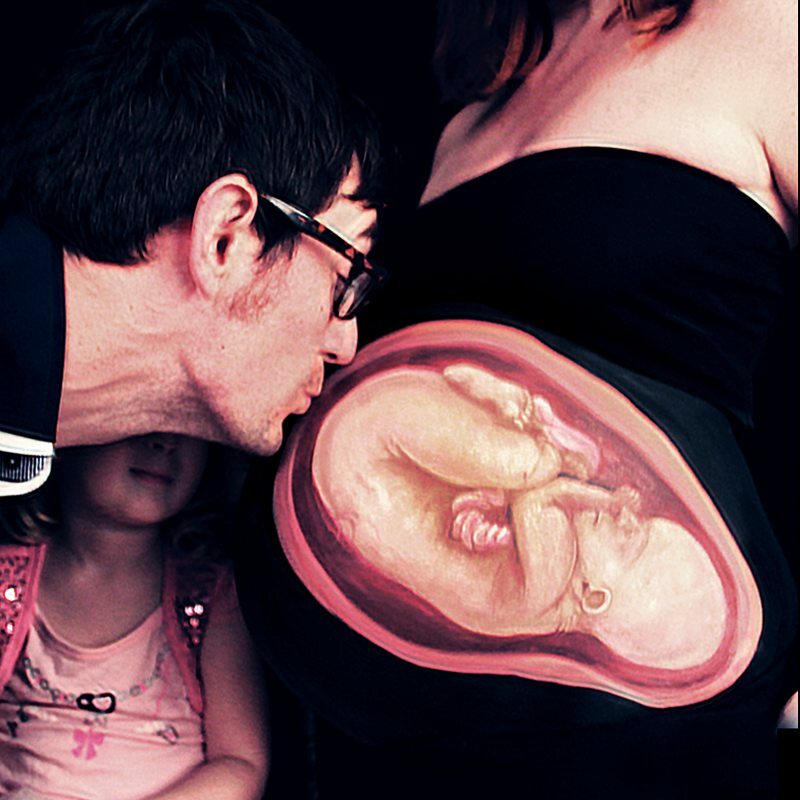 See also our Belly Painting FAQs. 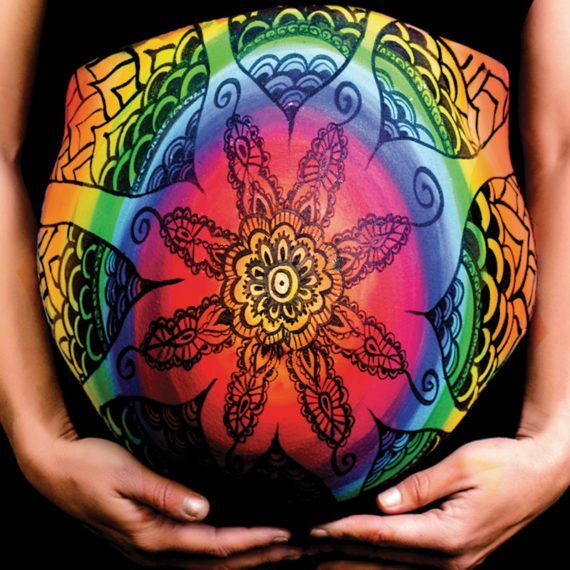 Skincognito offers a range of belly painting options to suit various budgets and preferences. 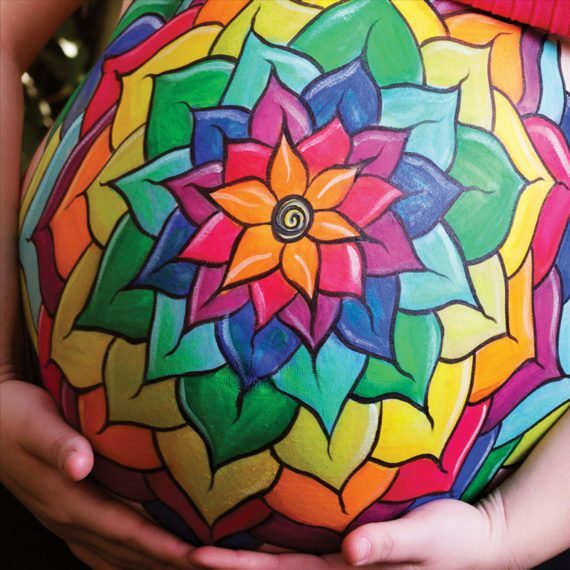 Choose from the packages in our Belly Painting Price List, or contact us to arrange a custom quote. Sick of the same old party games at baby showers? 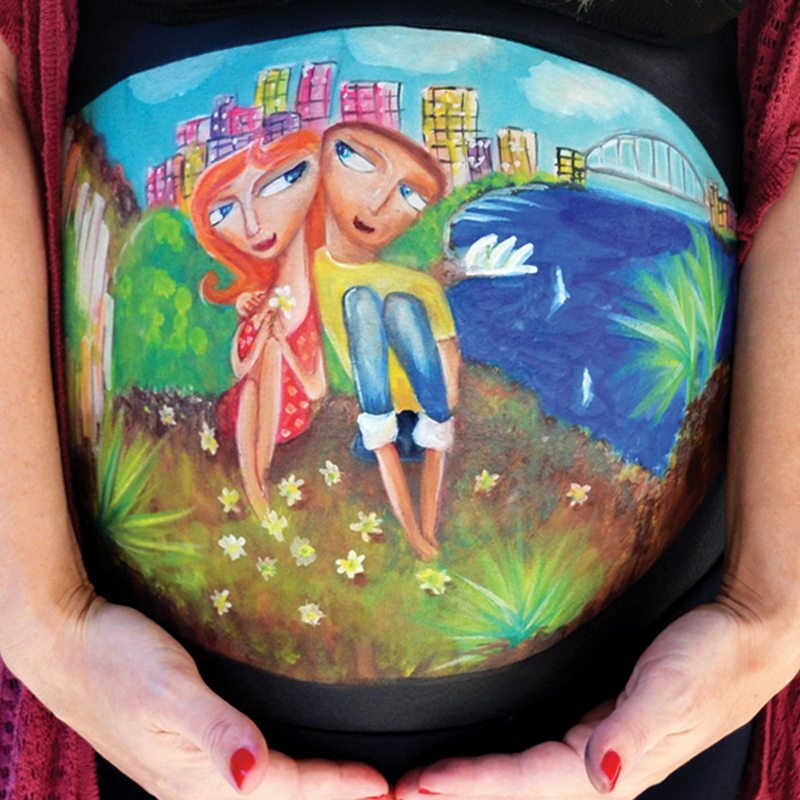 Belly bump painting is the perfect activity instead! 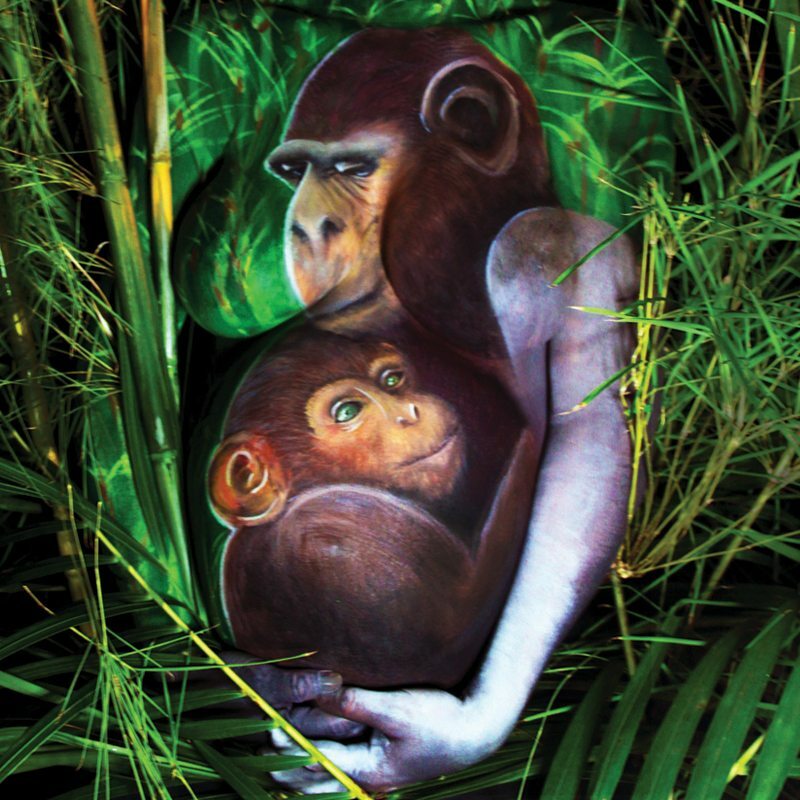 Sitting comfortably amongst her closest friends, the mum-to-be enjoys 2hrs of relaxing pampering while her belly bump is gently transformed into a stunning piece of art, using 100% safe and approved cosmetic makeup-based body paint. 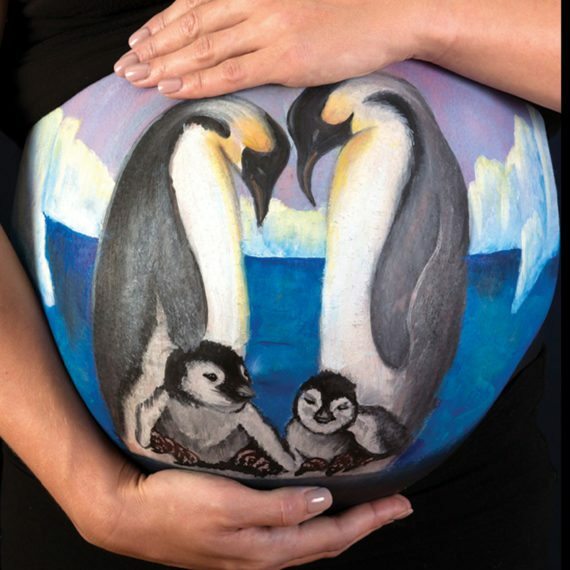 The artwork is then made even more special by allowing each guest at the shower to contribute to the belly art by placing a small rhinestone onto the artwork (all rhinestones included). The result is a beautiful piece of extremely personal art which has been contributed to by all of the special women in the mum-to-be’s life – a precious memento of this wonderful occasion. Photos of the artwork are a wonderful way to preserve the memory and look stunning when printed and hung on the baby’s wall. You are welcome to take your own photos, or we can arrange a professional photographer to do this for you. 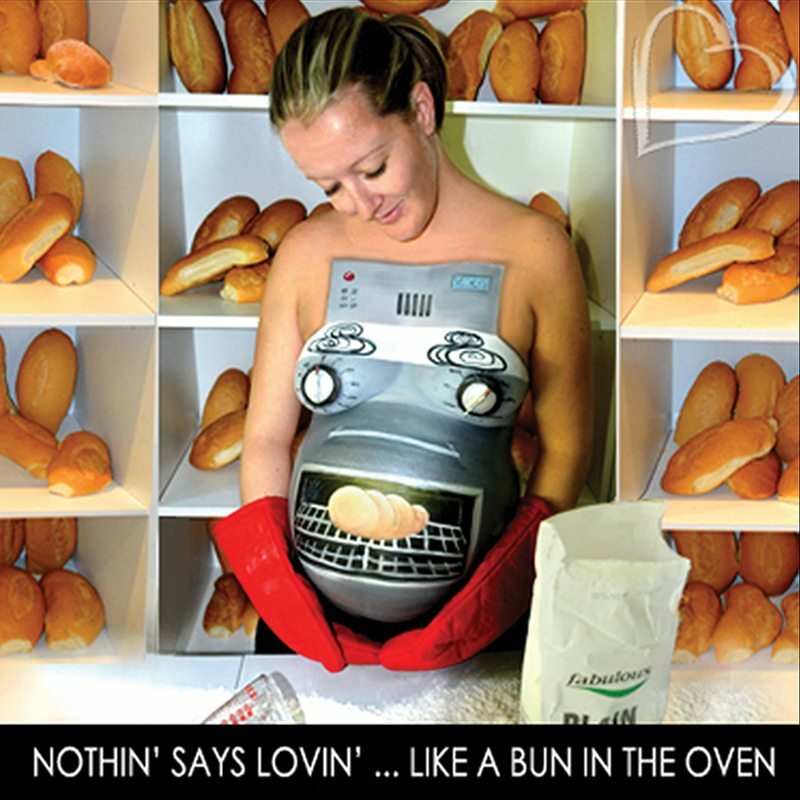 “Your vision of bringing a picture to life and your attention to detail is incredible!! I had such a wonderful day, from the moment I arrived til the time I left, I felt comfortable thanks to your sweet, down to earth nature. 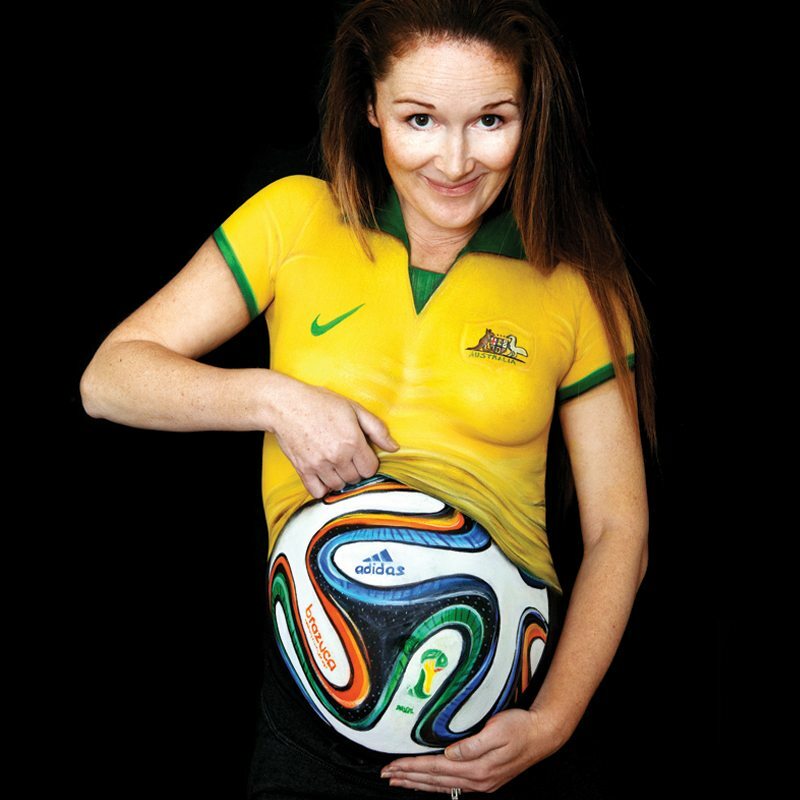 Thank you for this amazing opportunity!” Aleisha, NSW. 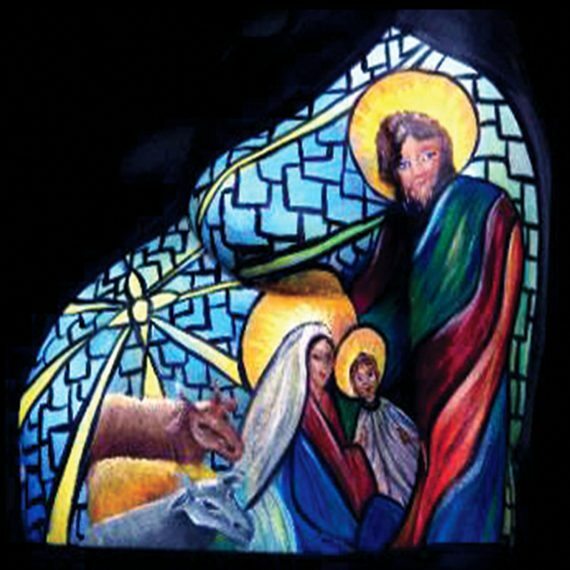 Call Julie today to enquire about this beautiful experience.